The complete tool kit includes all the basic tools you'll need to get started on building your own kit aircraft. The Tool Kit can be crated and shipped together with the airframe kit at no additional charge. The complete tool kit has a shipping weight of approx. 31 lbs. when shipped by UPS. (Estimated shipping cost of approx. $24.00 throughout the USA). The actual items, quantities and tools specifications are subject to change without notice, depending on aircraft model. 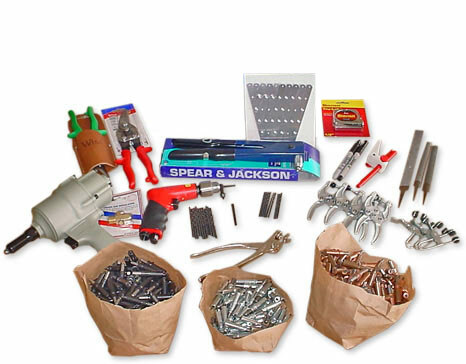 Click here for info on purchasing individual kit assembly tools. Click here for information on using the tools.